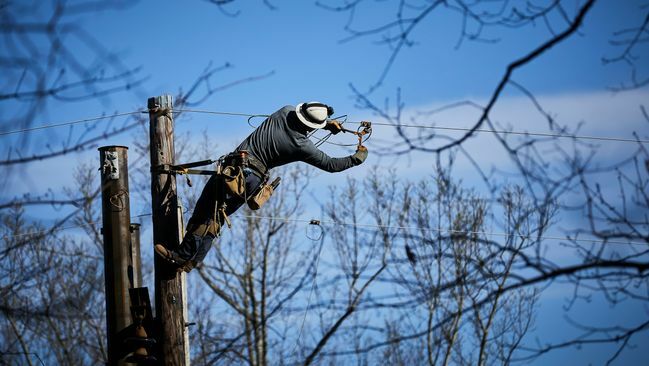 3,700 Duke Energy workers making repairs in multiple counties. Crews use bulldozers to cut temporary roads into hardest-hit areas. More than 80 miles of power lines, 300 utility poles, 125 transformers damaged. CHARLOTTE, N.C. -- Duke Energy has restored power to 313,000 North Carolina and South Carolina customers impacted by Tropical Storm Irma's high winds, and expects to restore electricity to the remaining 57,000 by 11 p.m. Friday, if not sooner. Specific restoration times are available at https://news.duke-energy.com/irma. At the height of the storm, 171,000 Duke Energy customers in the Carolinas were without power simultaneously. More than 3,700 Duke Energy workers are making repairs to heavily damaged power lines and other electrical equipment in multiple cities, towns and rural areas in both states. Crews are replacing more than 80 miles of damaged power lines, 300 utility poles and 125 transformers. Hardest-hit areas are located in the North Carolina mountains (Buncombe, Jackson and Macon counties), and Upstate South Carolina (Anderson, Greenville, Pickens, Oconee and Laurens counties). One example: In the North Carolina mountain town of Cashiers, damage in some areas was so severe that Duke Energy crews used bulldozers to cut temporary roads to access power lines and utility poles knocked down by large trees and other vegetation blown over by the storm's high winds. 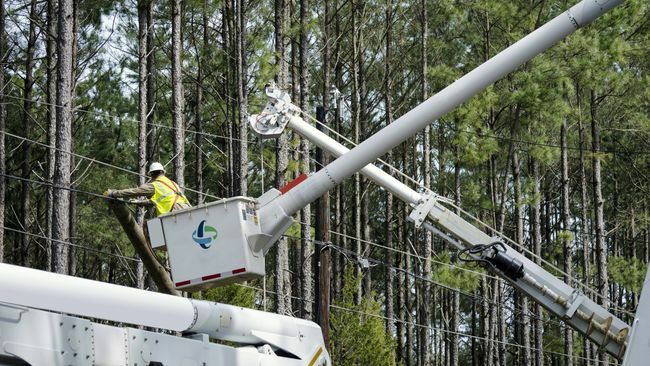 "We greatly appreciate our customers' ongoing patience and graciousness as we work to restore power quickly and safely under some extremely challenging conditions," said Tim Tripp, Duke Energy's director of storm response for the Carolinas. "Our crews will continue to work long hours until every customer's lights are back on."